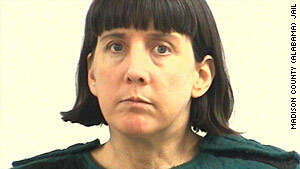 Biology professor Amy Bishop is charged with capital murder and three counts of attempted murder. (CNN) -- A biology professor accused of opening fire on colleagues at the University of Alabama in Huntsville, killing three of them, is due in court Tuesday, court officials said. Three more colleagues of professor Amy Bishop were injured in the February 12 shooting rampage, which occurred at the end of a faculty meeting. Bishop, who is also known as Amy Bishop Anderson, has been charged with capital murder and three counts of attempted murder. Two police officers are expected to testify at a preliminary hearing Tuesday, CNN affiliate WAFF reported. Bishop has not entered a plea in the case, the affiliate reported. Since the shootings, Bishop's previous run-ins with the law have come to light. She faced criminal charges after an altercation at a Massachusetts restaurant nearly eight years ago, authorities say. The police report says Bishop became furious that there was no booster seat available for her child, began screaming at the woman who had taken the last one and struck her in the head. Authorities also say Bishop fatally shot her brother in the family's home in Braintree, Massachusetts, in 1986. The shooting was ruled accidental. But on reviewing the case after the Alabama shootings, Norfolk County District Attorney William Keating issued a statement saying that probable cause existed in 1986 to charge Bishop with assault with a dangerous weapon, carrying a dangerous weapon and unlawful possession of ammunition. However, the statute of limitations has expired, Keating said.